Some of those waving signs during the January 16 State Capitol rally. Approximately 1,000 people took part in the bipartisan event. Valley voices, including many from the Friant Division, have again been raised on water issues at the State Capitol. They may have been heard. Within two hours after the crowd of more than 1,000 – including hundreds of farm workers – dispersed following the January 16 rally, Governor Brown let it be known that he would issue what those at the rally had sought – a long-delayed drought declaration. The official announcement was made the following morning. Those attending also made a major push for enactment of a broadly-based water infrastructure bond as well as pumping of more water from the Delta for use in the valley. 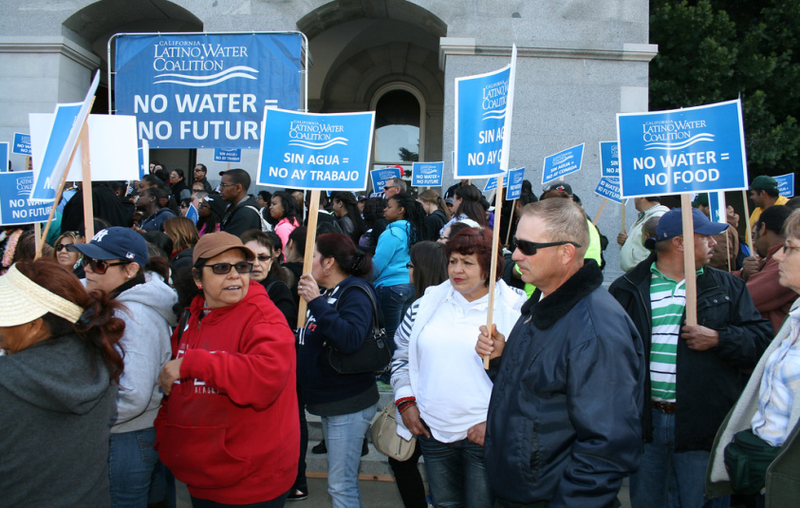 California Latino Water Coalition members organized the rally along with the Nisei Farmers League, League of California Cities Latino Caucus and the NAACP. Assembly Minority Leader Connie Conway (R-Tulare) addresses the rally as Assembly Member Henry T. Perea looks on. Many of those attending carried signs reading, “No Water, No Jobs” and “No Water, No Future.” The rally was decidedly non-partisan with Republicans and Democrats alike sharing the platform. 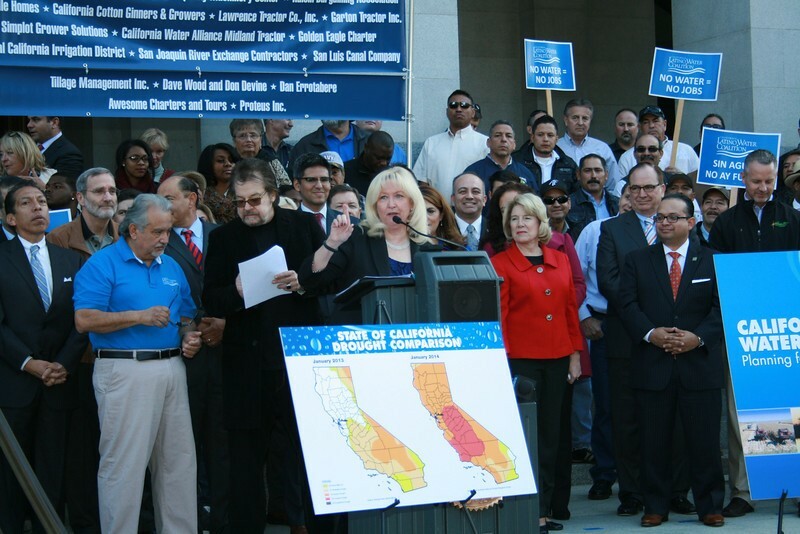 Several mayors and county supervisors from throughout the Central Valley also spoke in support of action to shore up the state’s water system. Following the rally, some participants visited lawmakers in their Capitol offices.